The dog has now has found a temporary home where he has been taken by the authorities. But the animal's pictures looking sad with his head hung is going viral. 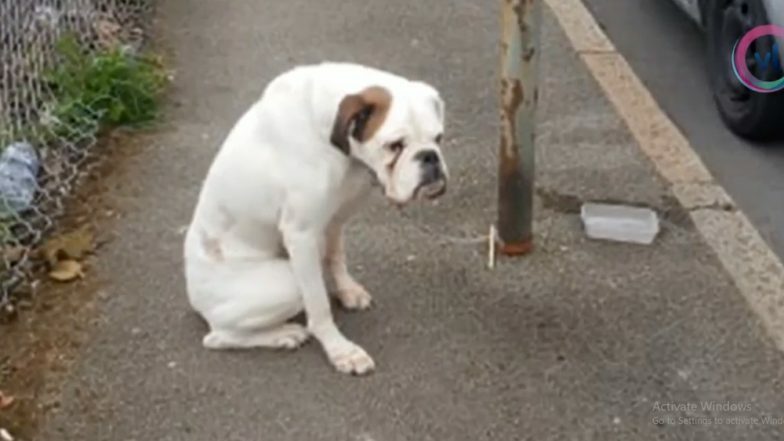 The heart-breaking images show how sad he looked in the streets of Hull. The dog has now been kept under the care of Nottinghamshire and Yorkshire Boxer Rescue. He is now named him Max and is looking for a permanent home. Varun Dhawan Birthday Special: Sara Ali Khan or Janhvi Kapoor, the Kalank Actor Will Look Best With? Khushi Kapoor Wants to Make Her Bollywood Debut Under Dharma Productions; Karan Johar, Are You Listening?